Oxford University Press, USA, 9780199291151, 360pp. Richard Dawkins is the Charles Simonyi Professor of the Public Understanding of Science at Oxford University, a Fellow of the Royal Society and of the Royal Society of Literature, and an international lecturer. His acclaimed books include The Extended Phenotype, a more technical sequel to The Selfish Gene, and The Blind Watchmaker, which won the Royal Society of Literature Award and the Los Angeles Times Prize, both in 1987. His other bestsellers include River out of Eden, Climbing Mount Impossible, Unweaving the Rainbow, and the A Devil's Chaplain. His most recent book is The Ancestor's Tale. 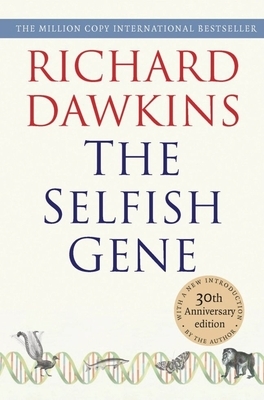 Professor Dawkins is the recipient of many prizes and honors, including the Shakespeare Prize, the Silver Medal of the Zoological Society of London, the Royal Society's Michael Faraday Award, the Nakayama Prize for Achievement in Human Science, The International Cosmos Prize, and the Kistler Prize.